Populations adapted to locally stressful environmental conditions are predicted to carry costs in performance and fitness, particularly when compared to non-stress adapted populations in the absence of stress. However, empirical observations found fitness costs incurred by stress-resistant genotypes are often ambiguous or absent. Compensatory evolution may purge genotypes with relatively high costs over time, resulting in the recovery of fitness in a stress-resistant population. We assessed the magnitude of adaptation costs over time to test for a reduction in negative genetic effects by compiling published data on measures of fitness from plant populations inhabiting mine tailings and populations adapted to herbicides. Heavy metal contaminated sites represent a stress that is immediate and unchanging; herbicides represent a stress that changes over time with dosage or the type of herbicide as treated populations become more resistant. To quantify costs, for each comparison we recorded the performance of plants from stress and non-stress environments grown under benign conditions. Time since the initiation of the stress was determined to test whether costs change over time. Costs were overall constant through time. The magnitude of cost were consistent with trade-offs for heavy metal resistance and certain herbicide mechanisms (triazine and resistance via P450 enzyme), but not for other herbicides where costs were inconsistent and appear to be low if not absent. Superior stress-resistant populations with higher performance than non-stress populations were found from both herbicide and metal stress, with some extreme cases early from time since initiation. There was an increasing benefit to cost ratio over time for herbicide resistant populations. We found that adaptation to stressful environments is generally costly except in herbicide resistance, and that costs are not diminished over time. Stress-resistant populations without costs also arise infrequently, though these populations may often be restricted from spreading. The online version of this article (doi: 10.1007/s11692-017-9419-6) contains supplementary material, which is available to authorized users. The authors thank S. Rutherford for helpful discussions on population genetics. J. S.H. Wan and C.K. Pang were supported by Australian Post Graduate Scholarships. We declare that the experiments comply with the current laws of the country which they were performed. All authors have been named in the manuscript. The authors declare that there is no conflict of interest. Dietz, G., Issa, J., Dahabreh, J., Gurevitch, M., Lajeunesse, J., Christopher, H., Schmid, T., Trikalinos, A., & Wallace, B.C. 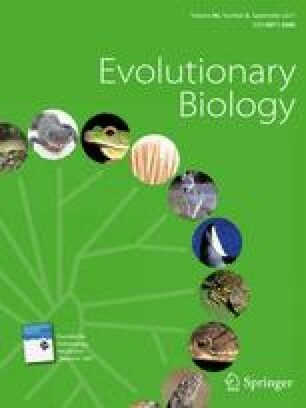 (2016) OpenMEE: Software for ecological and evolutionary meta-analysis [Computer program]. Available at (http://www.cebm.brown.edu/open_mee). (Accessed December 2016). Heap, I. (2014). The International Survey of Herbicide Resistant Weeds. Resource database http://www.weedscience.org Accessed 2014.